The Women’s World Cup is in full swing so in case the collective event mind has turned to female sporting success, here are eight female conference speakers to whet your appetite for a successful sporting summer. Hope Powell coached the England Women’s football team and was the first ever full-time coach employed. Involved in negotiating professional contracts and with responsibility for junior-level mentoring programmes, Hope is one of a small number of well-known conference speakers from the world of women’s football. 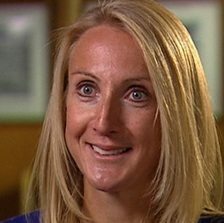 Paula Radcliffe is one of Britain’s most well known athletes, and ran her last race at the London Marathon in 2015. 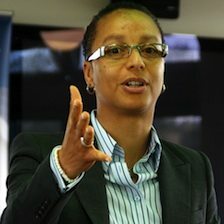 As conference speakers go, she is approachable and engaging, with a wealth of stories from her two decades in athletics. 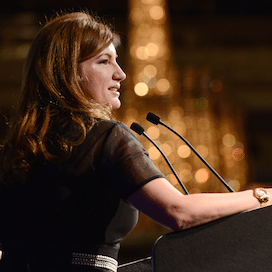 Karren Brady is one of the more impressive conference speakers on the circuit. The ‘First Lady of Football’ was MD of Birmingham City at the tender age of 23 and she is also Alan Sugar’s Apprentice aide, showing her tough management style to a new group of upstarts each year (lots of them hopeful conference speakers themselves!). 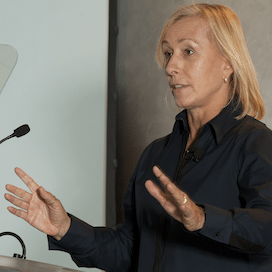 Martina Navratilova is one of the few conference speakers to have won a Grand Slam. Now based in the US she is one of the more popular conference speakers on the highly competitive US circuit, but she travels to the UK often to commentate on the BBC’s Wimbledon coverage. 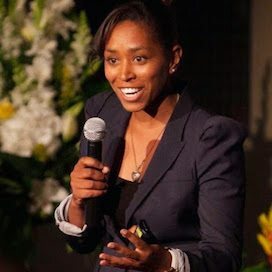 Ebony Rainford-Brent is new to the professional circuit of conference speakers. She played cricket for England, winning the World Championship, the Women’s World Twenty20, and the Ashes. She was the first black woman to play for England and is now Director of Women’s Cricket at Surrey CC. She coaches and mentors and will be an excellent addition to JLA’s list of conference speakers. Tanni Grey-Thompson, now a Baroness, is a record-breaking Paralympian, winning the London Marathon on six consecutive occasions. 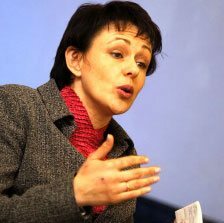 On the conference speakers’ circuit, she shares her insights on planning, teamwork and ambition, and on her time in the Lords. 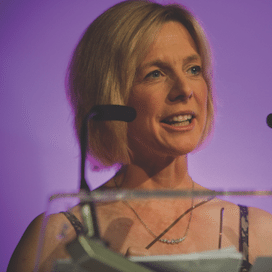 Hazel Irvine is available for after-dinners and awards, and also for facilitating and hosting days – keeping conference speakers in check. Hazel has a lovely light-touch and some great stories from her years in broadcasting – she might even name-check some of our more famous conference speakers! Sally Gunnell is one of the few conference speakers who focuses on corporate wellbeing, as well as relating the story of her Barcelona Olympic win. She is the only female hurdler in history to have held both Olympic and World titles, as well as the world record. How many conference speakers can say that?